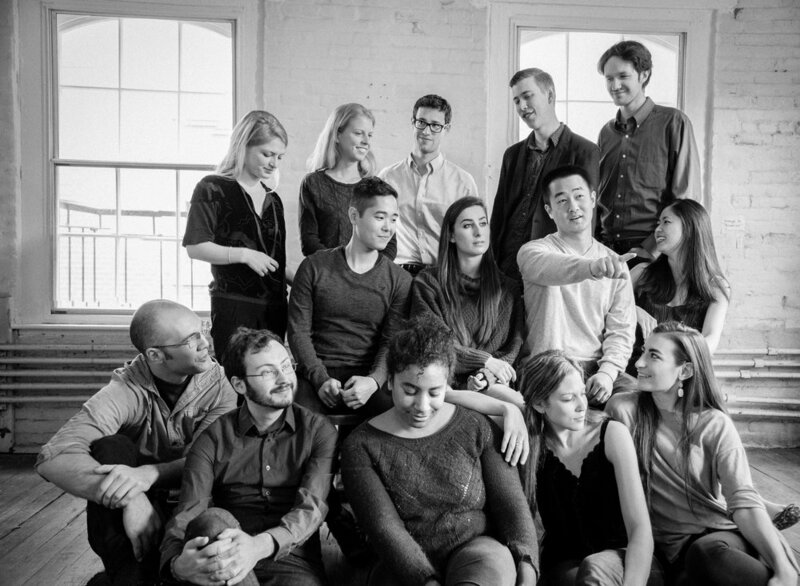 Palaver Strings is a musician-led string ensemble and nonprofit organization founded in Boston in 2014. Now in its fifth season, Palaver has established itself as a forward-thinking ensemble whose mission is rooted in community and creative programming. 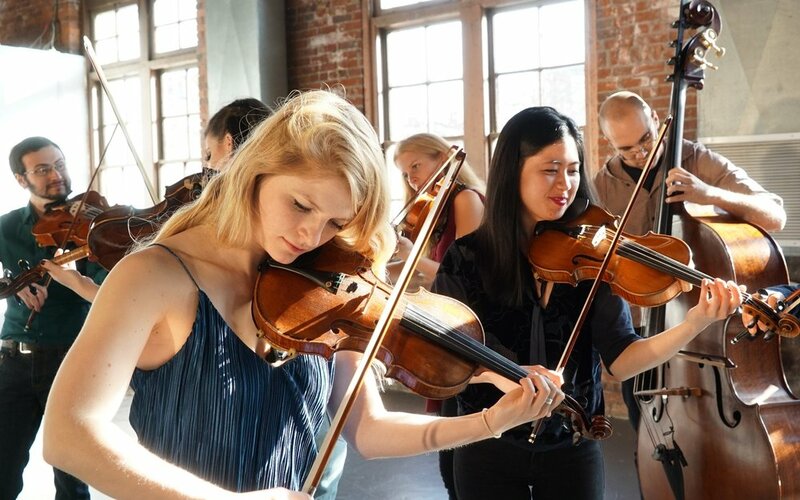 Palaver has performed at the Kennedy Center, the Shalin Liu Center, and a celebration of the Lullaby Project at Carnegie Hall, and has toured the East and West Coasts of the United States. 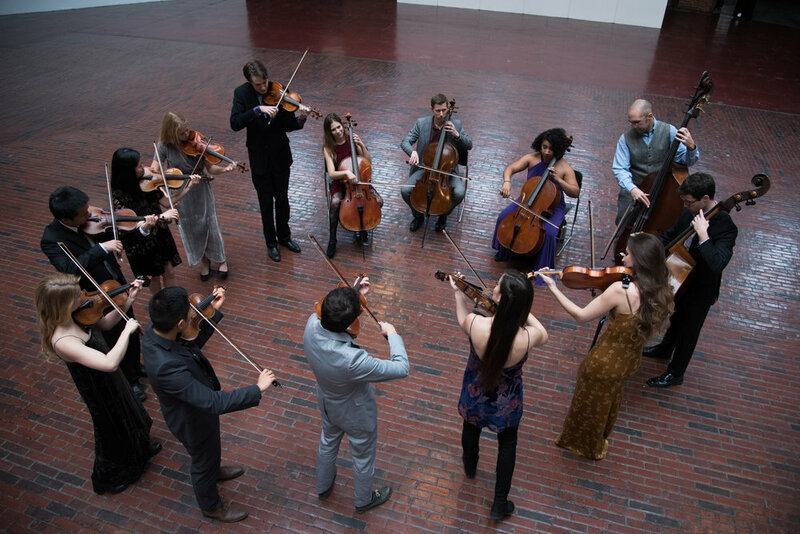 Palaver has been Ensemble in Residence at the Boston Center for the Arts since 2017, and continues a longstanding residency at Bay Chamber Concerts in Rockport, ME. 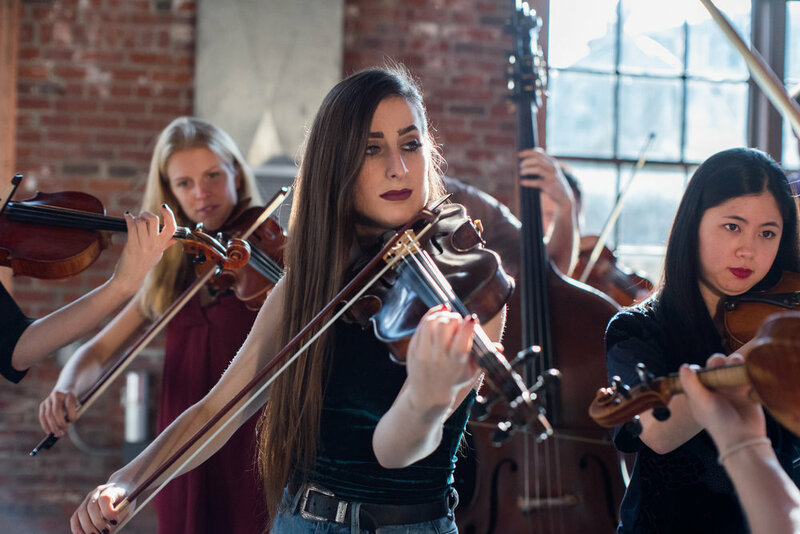 Equally passionate about education, Palaver plans to open the Palaver Community Music School in Portland, ME in 2019, with the goal of fostering creativity and dialogue and making high-quality music education accessible to students of all backgrounds. 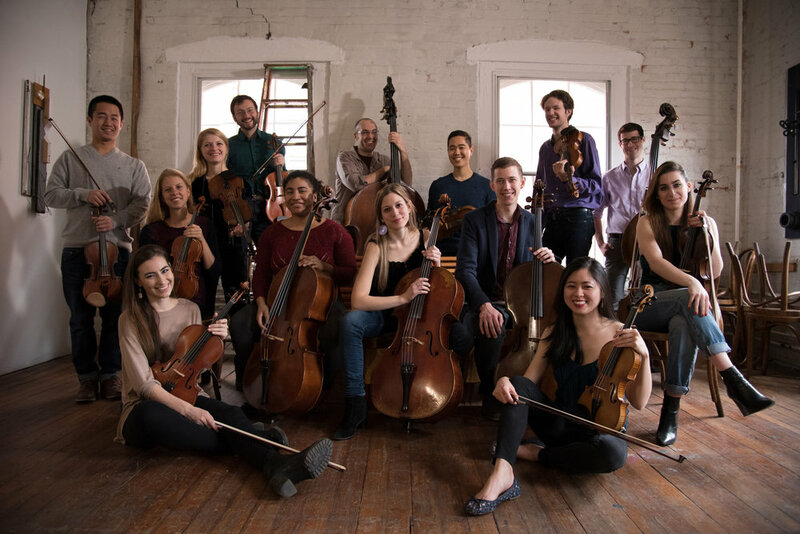 As a musician-led ensemble, Palaver is driven by collaborative processes, through which its Co-Artistic Directors share musical and administrative leadership. 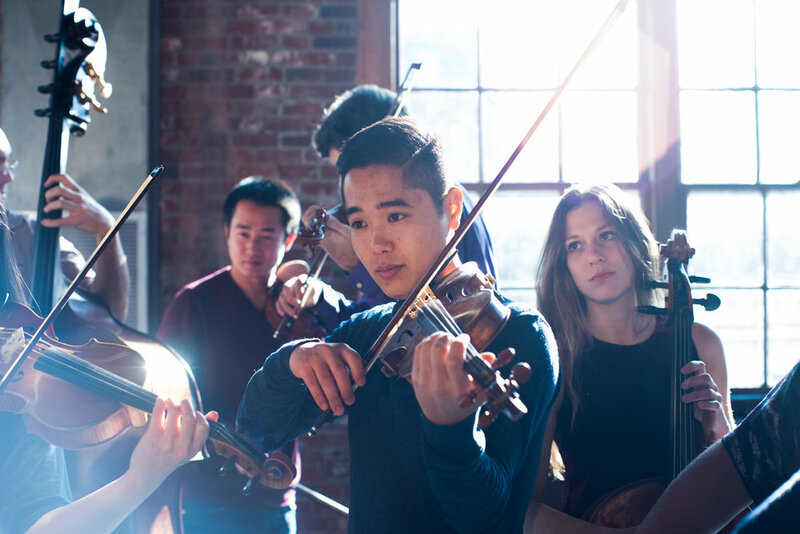 While each member of the ensemble brings unique experiences to the table, we all share a passion for taking classical music beyond the concert hall to engage with new and diverse audiences. In these personal, unconventional settings, Palaver strives to use music to address social issues, promote education and healing, and inspire peers and community to support the arts. As we prepare to open the Palaver Community Music School in Portland this fall, we hope to share these values with our students, fostering a love of music and collaboration for students of all ages and backgrounds. Our name, "Palaver," comes from the term "palaver hut," a place of discussion and conflict resolution in Liberia. In our early days as an ensemble, we gave benefit concerts for the Liberian Education Fund and became familiar with and inspired by the term "palaver," as we are a diverse group of individuals seeking to come to a creative agreement when we make music. "Palaver" has remained central to our vision as we expand our outlook to other social causes.